Are we seeing double? You bet we are! Double denim, that is. No longer a fashion faux-paux, double-denim is a super trendy (and sometimes edgy) look and we have the scoop on how to wear it best. Whether you’re a denim-on-denim novice, or a true-blue expert, we’ve got you covered. New to denim-on-denim and not feeling 100% about pulling it off? Well, listen up: you can! Try jeans in different hues if you’re just starting out. A chambray shirt and white jeans is a tasteful way to dawn your Canadian tuxedo—black jeans work, too! Alright, you’re still new to the game, but you’ve done this once or twice before. So, time to go bigger! 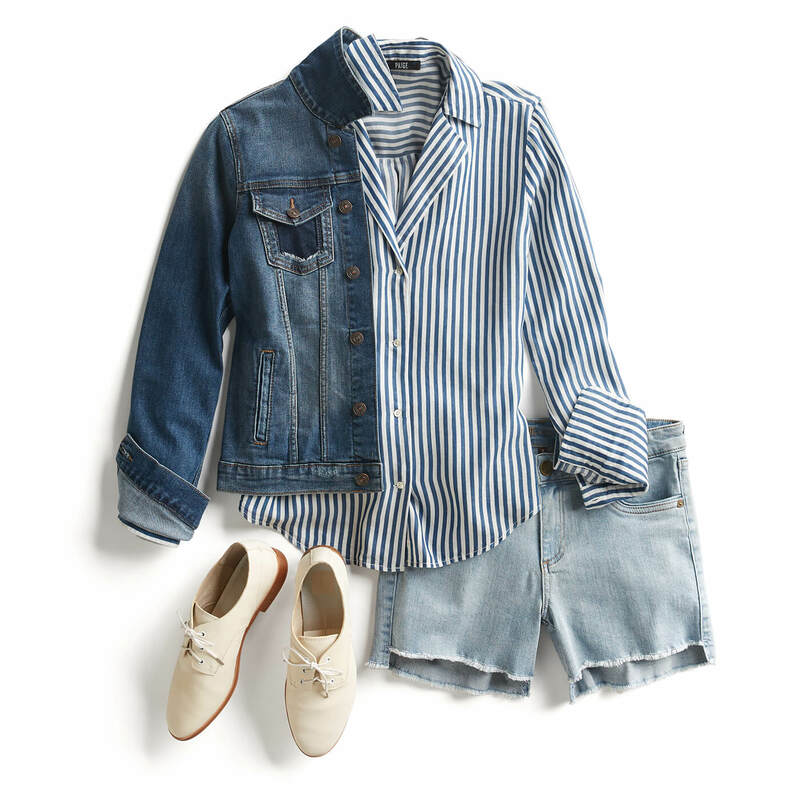 Try pairing your classic denim jacket with your favorite pair of raw-hemmed denim shorts. The structure of both pieces gives off some extremely vintage, cool girl vibes. Feeling a little too rock-n-roll? Throw on a button up made out of a soft fabric to take some of the edge off. This is all second nature to you! So why not try some cross-trend play? Denim in different hues and trendy silhouettes?! Woah, we’ve got a serious fashionista on our hands. 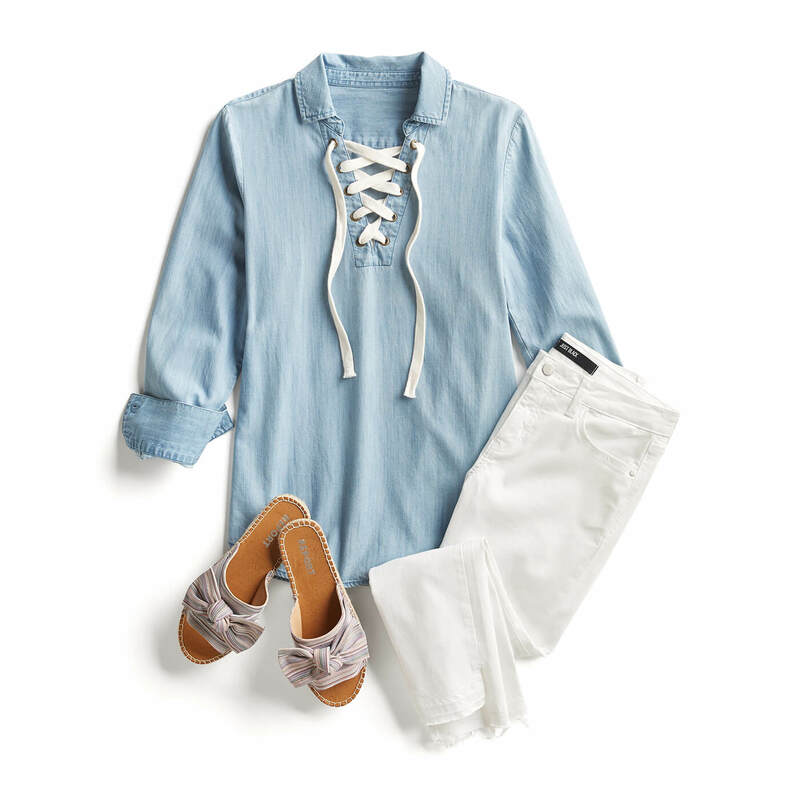 We love the off the shoulder look of this chambray shirt, paired with the ultra-femme culotte-cut. Go on and get those blues! You’re basically a jean-ius. So challenge yourself! Don’t just do double, do triple. That’s right: skinny jeans, chambray shirt, and a denim jacket to top it all off. We recommend varying the hues of blues to give your outfit more dimension. How will you rock your denim-on-denim? Tell us in the comments below!